Thank you Cheryl for this interesting article…-A.M. 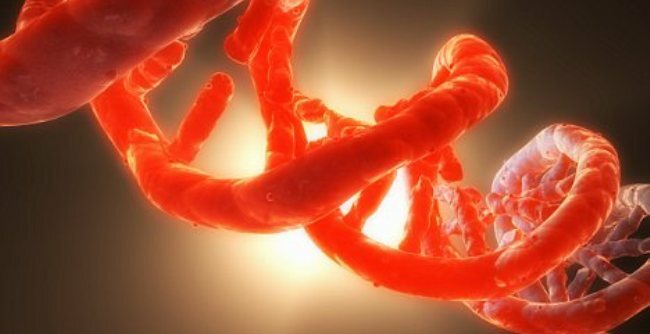 The fascinating and recent discovery of a new, second DNA code last week further lends credence to what metaphysical scientists have been saying for millennia — the body speaks two different languages. Since the genetic code was deciphered in the 1960s, researchers have assumed that it was used exclusively to write information about proteins. Garjajev’s research group succeeded in proving that with this method chromosomes damaged by x-rays for example can be repaired. They even captured information patterns of a particular DNA and transmitted it onto another, thus reprogramming cells to another genome. So they successfully transformed, for example, frog embryos to salamander embryos simply by transmitting the DNA information patterns! This way the entire information was transmitted without any of the side effects or disharmonies encountered when cutting out and re-introducing single genes from the DNA. This represents an unbelievable, world-transforming revolution and sensation! All this by simply applying vibration instead of the archaic cutting-out procedure! This experiment points to the immense power of wave genetics, which obviously has a greater influence on the formation of organisms than the biochemical processes of alkaline sequences.